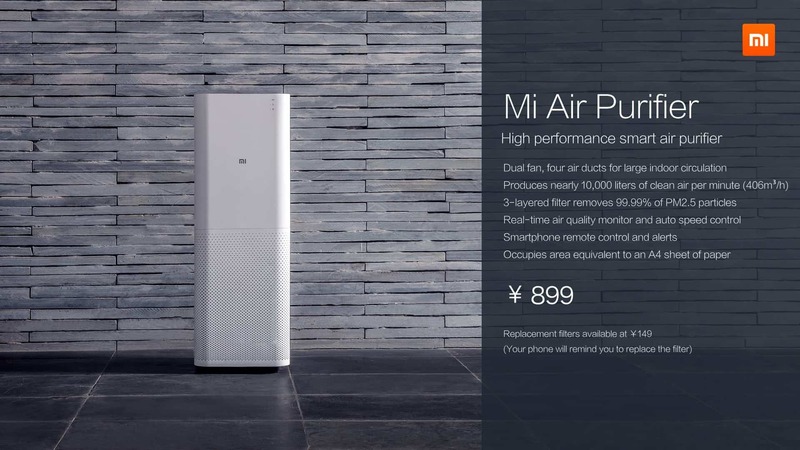 Xiaomi unveiled Air purifier today in Pre-CES event in China, we know china manufactures everything starting from a needle to a big automobile, the country is full of factories which made the pollution to increase over these years. As of now, Xiaomi Corp. trying to increase its growth globally and make sure to give competition to other companies even in other consumer electronics too, today we have seen the first home Air purifier from Xiaomi which can send pollution level readings to the users, right now there’s a wide increase of pollution and people in china should concern about purity in Air and the pollution problem, that’s why this Home Air purifier is a good step to define the Air quality in china. This is another step to a clean environment and yeah Xiaomi slowly entering into consumer electronics too, As per the researcher Canalys, Xiaomi’s share over chinese smartphone market tripled this year comparing to last year it’s 5% more now and made Xiaomi to take the first spot over Samsung Electronics in china. This dominance continued in other countries like in India, Indonesia, Malaysia, Singapore and Philipines which made Xiaomi to reach World no.3 in the smartphone shipments. Right now it is after Samsung and Apple to reach the first spot globally too. Recently Xiaomi also stated that in 10 years of time, they will reach the world no.1 in smartphone shipments beating Samsung and Apple. Lei Juan is the responsible person whom made the Xiaomi to reach the no.3 spot, now there plans are to reach it global now, with their low-cost, high-spec devices became a huge hit all over the world and now their eye is on consumer electronics. who knows Xiaomi may reach the No. 1 spot may be in less than 10 years as the people are receiving well.